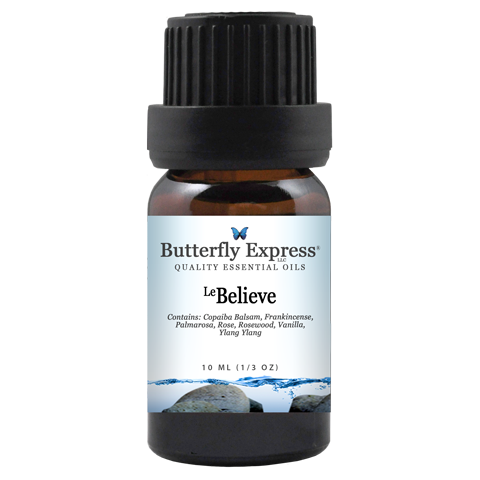 LeBelieve can reach into the core of a cell and release traumas and negative emotions on a cellular level. This blend is also useful in energy corrections that reset cellular memory. LeCinnamonBear acts as a stimulant and tonic for circulation, and for the immune and lymphatic systems. LeCinnamonBear is especially beneficial to sore muscles and joints stiffened by arthritis or rheumatism. LeMagi contains several oils with a high sesquiterpene content. Because sesquiterpenes cross the blood/brain barrier the changes made emotionally and physically go deep into the DNA of the cells and become both permanent and profound. 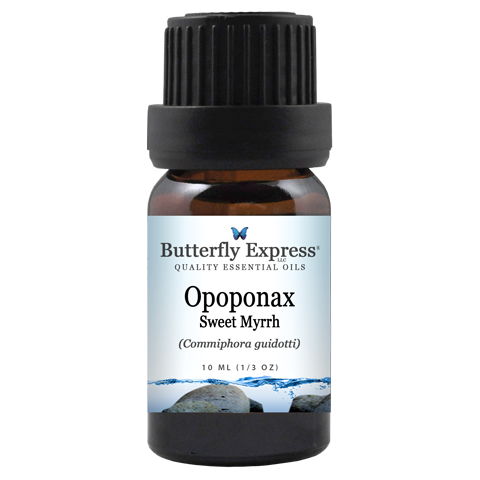 Opoponax has a drying action on mucous build-up in the lungs. It can be used for bronchitis, colds, sore throats, and coughs. Opoponax is also effective as a muscle relaxant and anti-inflammatory, making it useful for arthritis. Orange bitter is used in blends to promote weight loss, helping to curb the appetite and dissolve cellulite. Orange bitter is used in the treatment of heartburn, flatulence, and diarrhea. It also seems to aid in the absorption of vitamin C.
Pine Needle oil promotes healthy circulation and brings comfort to sore joints and muscles. Its an excellent massage oil for arthritis. 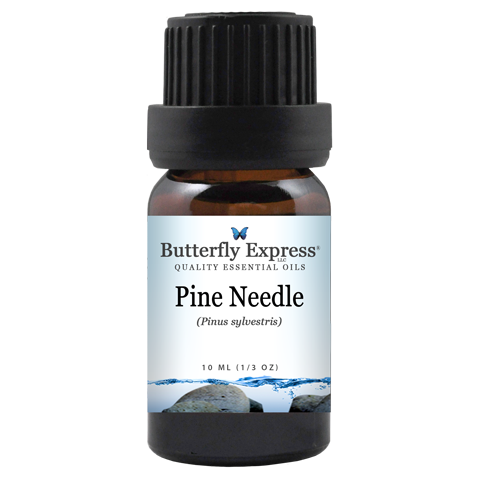 Pine Needle oil also increases metabolism and nutrient absorption and is beneficial to both the kidneys and the intestines. PHYSICAL ASPECTS: Since so many of our physical ailments, especially the chronic ones, are driven by our emotions, high frequency blends such as LeCherish impact the physical body on every level. LeCherish is an excellent blend for use in skin care because it promotes elasticity and tone in the tissues. PHYSICAL ASPECTS: Ledum acts as an enzyme to remedy liver dysfunction and aid in liver detoxification. Ledum's action on the liver sets off a chain reaction of improvement throughout the organs of the body. A stronger liver creates a balanced thyroid, a stronger immune system, better functioning kidneys, and clearer skin. Ledum has been used in programs for weight management, obesity, edema, and water retention. A review of recent literature indicates that ledum may be even more anti-carcinogenic and anti-tumoral than frankincense. EMOTIONAL / SPIRITUAL / MENTAL ASPECTS: Because of the mood enhancing properties Damiana promotes an overall sense of well being. Damiana shines and as anti-depressant. Damiana has been found to be very helpful for anxiety. GENERAL INFORMATION: Grown in Mexico and used for centuries by the Aztec. Many Mexican cultures still use it today. The herb form has been used to make beverages. A wonderful collection of Christmas oils that are perfect for diffusing, as well as Christmas soap and lotion to pamper yourself. You will love the fresh peppermint and the sweet vanilla that abounds in this kit. This little gift set contains the gifts the magi brought to the Christ child. It contains Frankincense essential oil, Myrrh essential oil and Gold liquid mineral. This kit was named All is Calm because of the effects it can have on depression and also because the oils in it are calming and used for meditation. The magi gave gifts out of love we should be aware of and love those around us that might be struggling this time of year. This Winter Warmth Kit is a perfect kit to help you warm up in the cold months ahead. The focus of this kit is LeHousewarming but also includes some great winter diffusing oils. A wonderful way to keep your home warm and spicy this winter. This kit comes with a bonus free LeAmbition. The Mini Starter Kit is a great kit to get you started in the wonderful world of natural healing. Wonderful as a gift too. It has the top 6 oils that everyone should have plus 2 of our most popular carrier oils and a miracle salve. Miracle salve is a great moisturizer and salve. It has numerous healing properties and is our personal favorite. The Mini Starter kit helps with breathing issues, pain, sickness, aligns physical and mental structures, skin conditions and helps with focusing and concentrating, just to name a few. This mini kit packs a punch with the abilities it can help with. It is a must have! For a limited time you can bring the smells of Christmas into you home with the benefits of essential oils in the form of Holiday lotions and soaps. Creates an atmosphere of welcome and warmth in a home or office. This blend stimulates our thinking and encourages us to seek new solutions to problems and to look at long-standing relationships in new ways. Enjoy the fresh smell of peppermint with sweet undertones of vanilla. Christmas can be enjoyed everytime you wash your hands. Made with natural ingredients as well as essential oils for germ fighting and emotion enhancing properties. These personal products, include soaps, lotions, bath bombs and beard balms. These luxurious and pampering product make afforable gifts and stocking stuffers. Peppermint is a wonderful tonic for the digestive system because it increases the flow of digestive juices and bile and is relaxing to the intestinal tract. Peppermint tea (or even tincture) reduces colic, cramps, and gas, and helps to soothe an irritated bowel. In soothing the lining and muscles of the colon, it helps diarrhea and relieves a spastic colon (often the cause of constipation). Known to support thyroid function (metabolism and growth are controlled by hormones secreted by the thyroid.) Iodine enhances memory, short and long term. It may support excretion of mercury, lead, cadmium and possibly aluminum by the kidneys. It may help normalize stomach acid levels. It may be effective against many detrimental bacteria and some fungi. Taken as a cold or fever begins, Cayenne fights the infection while inducing a beneficial and bacteria-killing sweat. Cayenne is an excellent digestive and reproductive stimulant herb. In respiratory illnesses, Cayenne acts as an expectorant, thinning the mucus in the lungs and making it possible for the body to expel it. In the digestive tract, Cayenne promotes the secretion of digestive juices and improves the ability of the body to absorb nutrients. Cayenne is often used—usually in capsule form—to cauterize and heal stomach ulcers.